The things that I love about fasting month apart from testing our patience and tolerance are visiting Ramadan Bazaar and Buka Puasa with friends and colleagues. Actually I tried to fast before for me it’s not that easy, there will always be temptations and challenges. Geylang Serai Bazaar the Largest Ramadan Bazaar in Singapore is happening from 25th May until 24th Jun, 2017 every day starting 11am until midnight, and on Friday and Saturday the bazaar extend until 2am in the morning. And on the eve of hari raya which is 24th Jun which is the last day, the bazaar operates until 6am in the morning. If you are a bargain hunter then that is your time because the retailer the slash the price and most of the products are on super sale. Most of the bazaar areas are covered, no matter rain or shine the business will go on as usual. How about some scotch egg? As mentioned there are more than 1000 stalls in front of Geylang Serai Market, Joo Chiat Complex and along Haig Road. It’s like street shopping fiesta with lots of food stall selling all kind of food from traditional to modern. 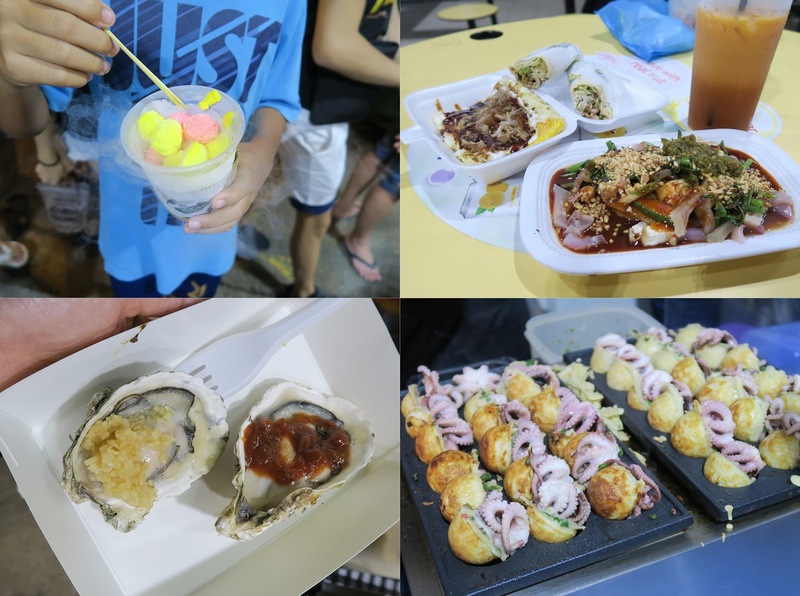 We found many interesting snacks and many stalls are actually operates by youngsters. Most of the bazaar areas are covered, no matter rain or shine the business will go on as usual. The bazaar is not only loved by the Malays but also Chinese and tourists. The Hari Raya Light Up will starts at 7pm every day, the area will be lid by the extravaganza visual lighting with more than 900,000 LED light bulbs. It sparks the festivity and vibrant atmosphere in Geylang Serai. Overall it was a fun night out experiencing the bustling and vibrancy of Geylang Serai Ramadan Bazaar in Singapore. You can easily spend the whole night there because there are so many stores to cover and food to try. I don’t mind going back again. It's seems like a fun event to attend. I love any event that has food catering that I can try and browse the different shops at the same time. The food is really great. I am now craving for Takoyaki. Will make sure to include in our itinerary a visit to bazaars when we're in SG. Thanks for sharing. Cannot imagine how huge it is with a thousand stalls. I think it will take me a few evenings to cover the entire bazaar! Waaa lot of food. I'm excited to go every stall and cuci mata hehhe. I haven't been to Singapore for more than a decade. I really like the busy atmosphere of stall vendors. It looks like a great place to get good food after "buka puasa". looks so happening!!! got oyster!!! Wow~ so many good foods! I want to try the Takoyaki!